The first man ever to travel the space as a tourist is back with another plan for a space tour. This time he eyes the red planet ‘Mars’. The American multi-millionaire and space travel enthusiast, Dennis Tito is chalking out his privately funded round trip to Mars. The trip is planned to span over 501 days in the year 2018. Dennis Tito had made a historical record in 2001, when he spent a grand total of $20 million for an eight-day trip to the International Space Station aboard a Russian Soyuz rocket. He is also leading the ‘Inspiration Mars Foundation’, a nonprofit organization, through which he plans to conduct a news conference to announce the tour to be launched in January 2018. 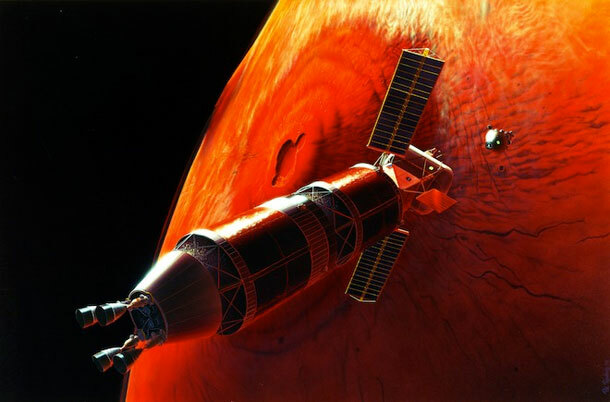 The officials of ‘Inspiration Mars Foundation’ expressed, “This ‘Mission for America’ will generate new knowledge, experience and momentum for the next great era of space exploration”. We wish Dennis Tito a good luck on his endeavor and hope the inspiration to travel and face adventure head-on, keeps spreading.